2015 has been an incredible year for us and we are extremely grateful for it. We've had some perfect times which have given us perfect memories, and some not so perfect times which we've taken extremely useful life lessons from. This post has been written to thank everyone and everything which has made this year so incredible, and to reveal to you the lessons we learnt, in the hope that they can help you too! We started the year by doing our first ever Italian house sit with two lovely dogs and a beautiful cat. Homeward Bound eat your heart out because you will never find a more perfect trio than these three. It was lucky that the home owners (equally as lovely) asked us to come back and house sit again, because we couldn't bear the thought of not seeing these three darling pets again and I was making serious plans to take them with me (the big dog dressed up as Tanbay, the small dog and the cat in my hand luggage). We spent five wonderful weeks here, walking the dogs up and down the beautiful/vertical landscapes, pigging out on delicious Italian food and sampling the local wine (including the wine from the vineyard)! It was the perfect place to relax, but equally as perfect a place to get some work done! We wrote a few posts for Travelling Weasels: one answered Is The Cheap Bus From Cologne to Paris Worth it? another answered Should You House Sit With Your Family? 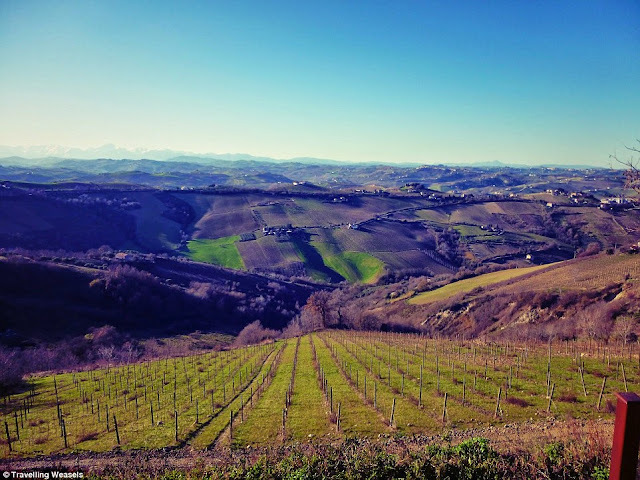 and the third was all about this awesome Italian House Sit: Five Reasons To House Sit in Italy. This was also the first time that we made a substantial income. For the last few months we'd been breaking even, but mainly because we'd been spending next to nothing. This month thanks to a combined effort of earnings from my ebook, from Tanbay's ebooks, and earnings from our website AND translating German to English (and vice versa) we managed to make a decent amount of money! When the home owners returned, they thanked us with a GoPro! It was so generous and completely uncalled for as we'd already had the best house sit ever, but we are eternally grateful: Thank you so much guys! Most grateful for in Jan: Being chosen to do this House Sit! Biggest lesson learnt: Don't put all your eggs in one basket - in terms of how you earn money - probably a good lesson for everyone, but especially for free-lancers/ travel bloggers. In February we returned to England to do our next two house sits and see family and friends. 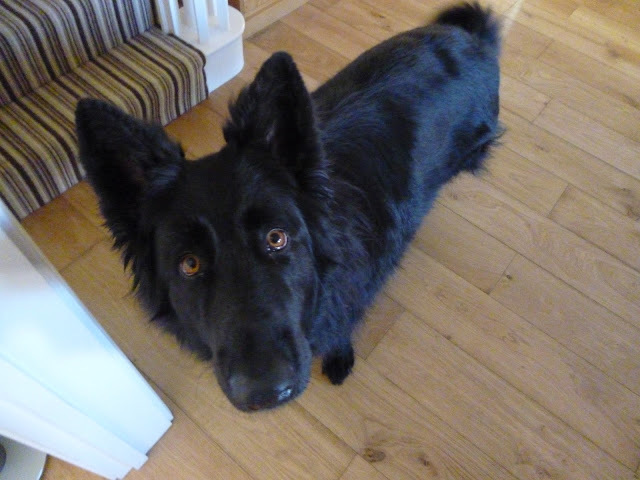 The first house sit was in Bromsgrove and we looked after a whole menagerie of pets: a lovely Belgian Shepherd, a gorgeous cat, guinea pigs and fish. Despite the large number of pets, this was actually one of our easiest house sits ever. The owner was a vet and thus the animals were all impeccably well behaved. The sit gets added points because we felt super cool walking a dog that looks like a wolf (she was even called wolfie) and getting lots of awed looks from teenagers. In all honesty, Bromsgrove is not really a hidden gem of Britain, but it is conveniently situated near Birmingham, and so I had an awesome day out seeing my sister and one of my best friends. The house itself was very comfortable (i.e. large), in a gated community. 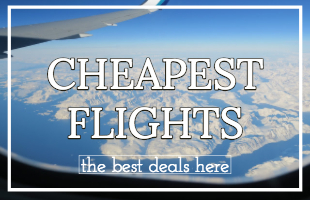 We got lots of work done here and we wrote one of our most successful posts of the whole year: How Can You Afford To Travel where we interviewed 19 travel bloggers and revealed some of our own secrets. The home owners were really kind to us and when they returned gave us a card to say thanks and very generously some money! After Bromsgrove we stayed with my dad, then with my mum and then with another good friend. Then we were off to Stroud! 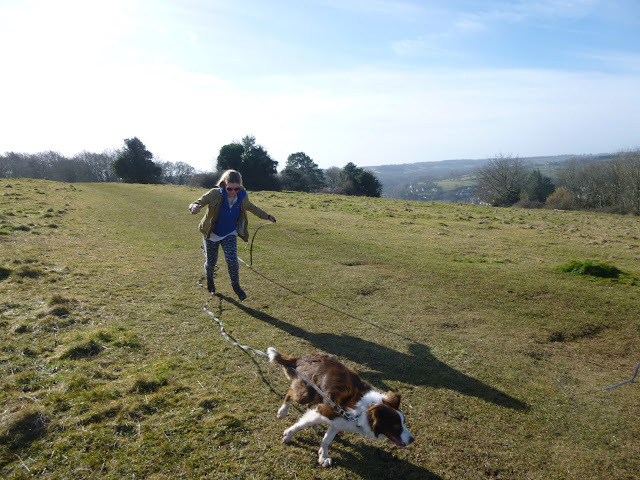 She is a very active dog who kept us fit with many walks up the hill. My aunt and uncle live in Stroud and they very kindly took us out for afternoon tea, and invited us round for lunch. It was great to be able to catch up with them. The house we were sitting was very lovely, not as big as the Bromsgrove one, but more to our taste with its authentic Stroud look. 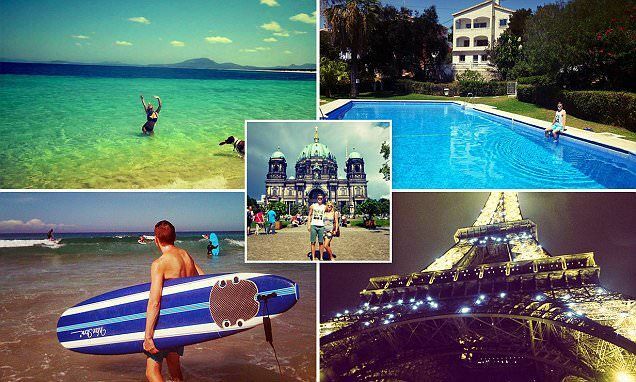 We completed another successful post there: How Can I Make Money Online and How to Afford Travel which revealed all the different ways we've made money since we first left the UK. 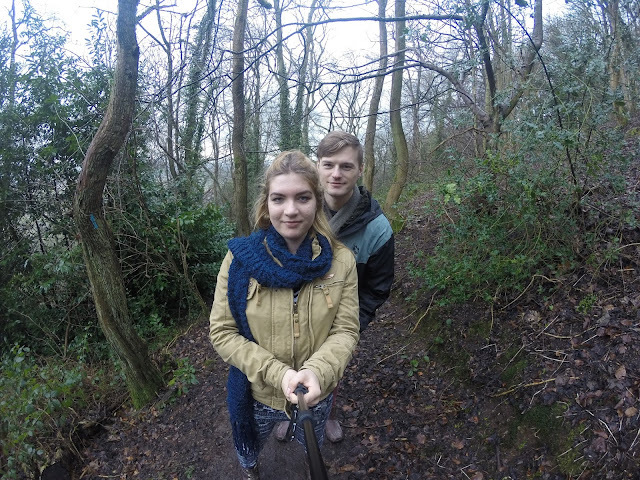 We ended off February with a lovely visit to my Grandpa who lives in Woldingham. 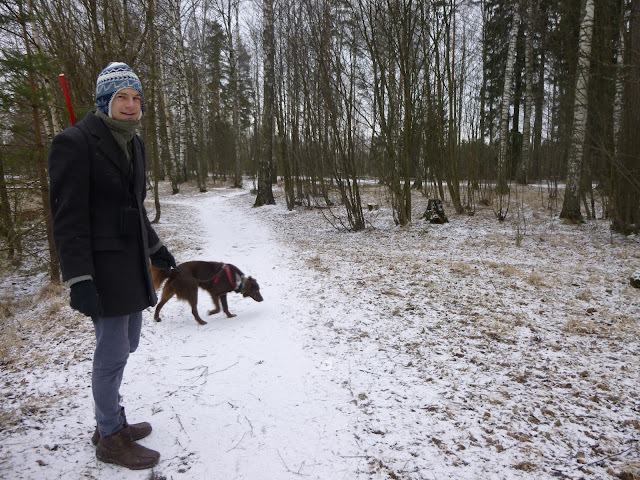 In March we were lucky enough to visit two European countries we’d never been to before: Finland and Estonia. 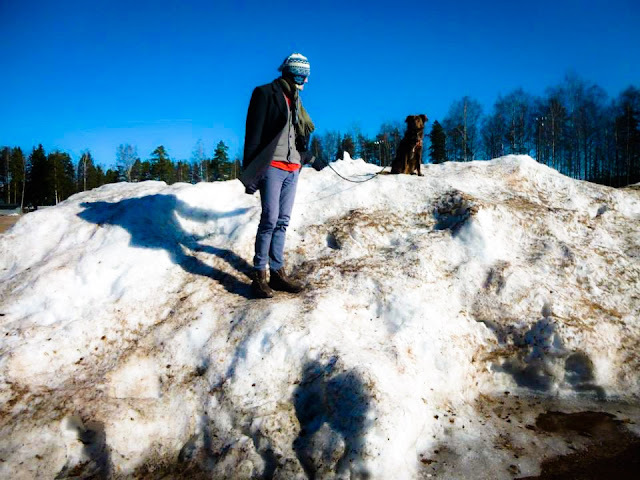 We'd secured a house sit in Helsinki months in advance and we were very excited to experience a new culture. Finland truly is beautiful, the people really are lovely, and it really is very cold. The flat we were house sitting wasn't as nice as the first three properties we'd looked after this year, but it's location made up for that. 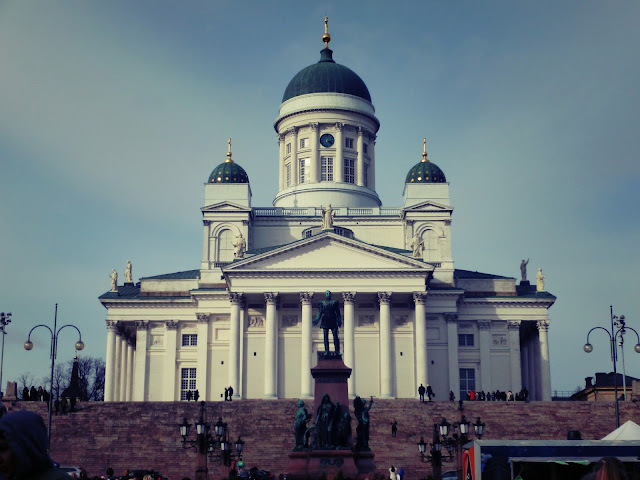 We were very close to Helsinki, a city that surprised us with how much we liked it. We wrote a whole post about Helsinki here: 14 free things you can do in Helsinki. Visiting Helsinki was lots of fun and we checked off another of our bucket list items: eating reindeer. After Finland we wanted to see Tanbay's family in Germany, but found that the cheapest way to get from Helsinki to Germany wasn't straight there, but instead to hop over to Tallinn first. Never one to miss a chance to see a new country we jumped at the chance. We got the ferry from Helsinki to Tallinn and made our way on foot across the city, despite it still being super cold, we enjoyed Tallinn and wrote a whole post about How To Spend 24 Hours in Tallinn. Tallinn is a lot cheaper than Helsinki, but on the whole we enjoyed Helsinki's atmosphere more. We spent one night in Tallinn and, using our £13 AirBnB Voucher, stayed with AirBnB. Our host was beyond lovely and even picked us up in his swanky BMW. Most grateful for: Being interviewed by the Daily Mail (see blog highlights at the bottom). Biggest lesson learnt: We don't really like cold countries! It's something we wished we liked but we just don't! After a smooth flight from Tallinn to Bremen, we spent a month catching up with Tanbay's family. We did a lot of work here, we launched our ebook on Amazon, ibook store, google books and several other online stores. 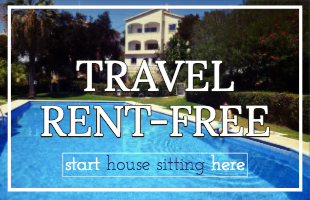 We launched two posts about house sitting: Should I Become a House Sitter which features all our FAQs including Do House Sitters Have To Stay In The House The Whole Time? The other post that we launched was called House Sitting Opportunities which we've been updating ever since, it basically shows off the latest and greatest House Sits, to hopefully inspire you to sign up! Inspired by Tanbay's success with his many non fiction ebooks I decided to write a fiction ebook. 9 months later and it still hasn't sold a single copy, not my forte. Ha. The rest of the time in Germany was spent with family and animals. 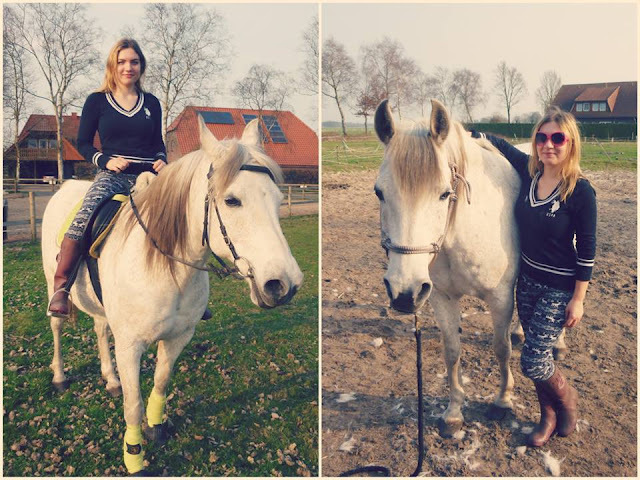 We rescued, rehabilitated and released some baby rabbits and did some horse riding. 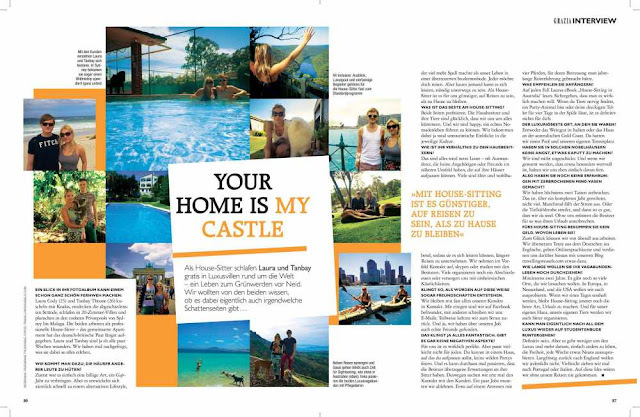 Most grateful for: Being interviewed by Der Spiegel! One of the greatest German newspapers (again see blog highlights at the bottom). For years Portugal has been at the top of our bucket list, so we were extremely excited to see and secure a House Sit there. 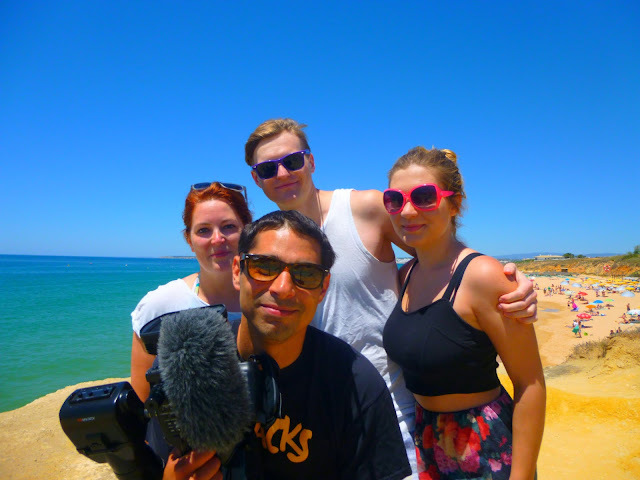 We flew from Bremen to Lisbon and then got the train down to the Algarve. This was a three hour train ride, but one of the most beautiful we've ever taken. Portugal is SO BEAUTIFUL!!! And weirdly like Australia with it's orange dirt and vast bush. We were picked up from the train station by our home owners and for the second time this year knew instantly we'd made firm friends. They are actually from the Netherlands and are just so funny and cool! At there house we looked after the gentlest dog in the world with the coolest name (Hyena) and her buddy the grumpy turtle (called Turtle). The house itself was gorgeous and authentic with it's own orange grove! We discovered that sampling orange from an orange grove you're living on is very rewarding (just like sampling wine from a vineyard you're staying on). We were situated very close to lots of stunning beaches and as Hyena has a big garden to entertain herself in (with lots of shade), we were allowed to spend hours on the beach without worrying too much about her. 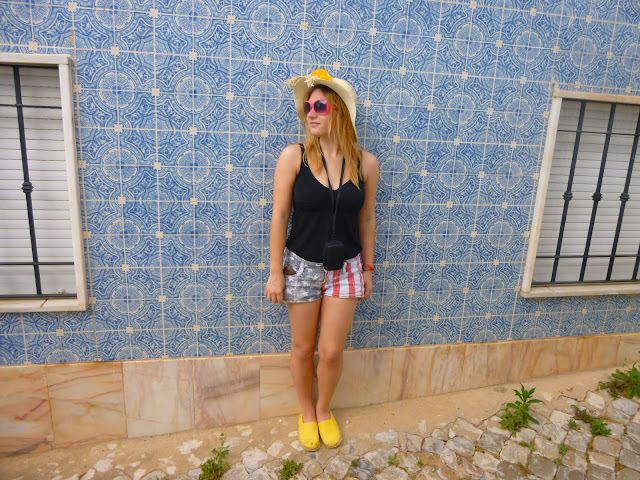 Portugal really is everything we'd hoped it to be and more! The weather is amazing, the food is delicious (and cheap), the people are friendly and everything is very beautiful. Especially the tiles. The interview we'd done for Der Spiegel was released this month, and brought us so much traffic to our blog! If this wasn't exciting enough, we then had an email from a German TV crew saying that they wanted to fly out to us from Berlin, to film us and interview us about our life. We asked the home owners (who thankfully said yes) and out they came!! It was an intense day of filming and one of the weirdest things we've ever done, but also one of the best. (More info on this at the bottom of this post). On our flight from Ancona to London, way back in January, we'd read the in-flight magazine which mentioned a place called the Azores. We'd never heard of the Azores Islands, but read that they were nine islands in the North Atlantic Ocean which belonged to Portugal. We then had a look at a few images on Pinterest and were instantly hooked - we had to go there! 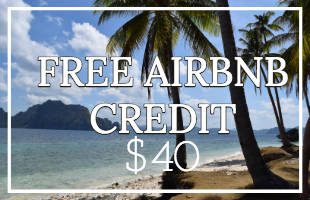 With no House Sits on the islands we decided to spend a whole month there with AirBnB which was an interesting experience. The accommodation was nowhere near as nice as any of the House Sits we've done (and we paid for it)! But we were able to pick exactly where we wanted to go and for which dates. We feel like we 'found ourselves' a bit in the Azores. It's very beautiful there and we pushed ourselves with activities like mountain biking (round a volcano), kayaking (on a lake in a dormant volcano) and hitchhiking for the first time ever! 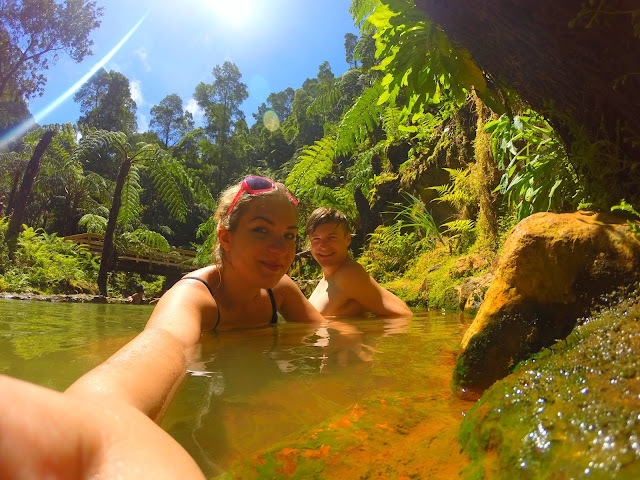 There are many reasons you have to visit this amazing place at least once in your lifetime, but here are our ten most important reasons you have to visit the Azores. We also went on our first sponsored trip to see dolphins and whales in the wild. Massive thanks to Picos De Aventura for their hospitality. (We wrote a post about it too, here: Dolphin and Whale Watching in the Azores). From the Azores we flew back to Lisbon and had an awesome day in the capital of Portugal, before heading to Brussels. 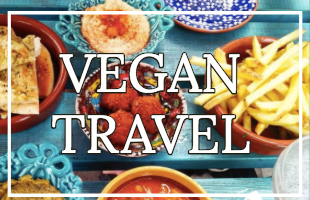 Most grateful for: Being chosen for this Portuguese House Sit, being filmed for TV, being 'brave' enough to venture to the Azores by ourselves and having our first press trip! Biggest lesson learnt: Don't spend the night at the airport, sleep really badly and then think it's appropriate to walk for three hours across an island (duh)! Also to spend a bit more on accommodation to have a nicer place. We were not very happy to get off the plane in Belgium, because the weather compared to Portugal was abysmal. But we soon cheered up after an afternoon in this cute country. We then took our first Bla Bla Car across the border to the Netherlands and our next sit. This was our first ever Dutch house sit. We stayed in a big beautiful house (which was a nice change after our small Azores AirBnB) in a place called Maastricht and once again want to say a big thank you to the lovely home owners for choosing us. We looked after two excellent dogs here - Genie and Simba. 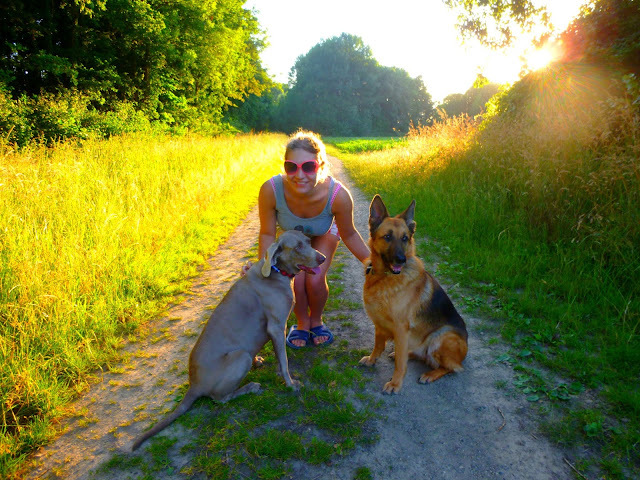 They were both impeccably well behaved and it was no bother at all to take them on their walks (the Netherlands is so flat)! We also celebrated Tanbay's birthday here with lots of stroopwafel and poffertjes. Most grateful for: Using Bla Bla Car - it's great! After taking a Bla Bla Car to the airport, we flew to Rome. 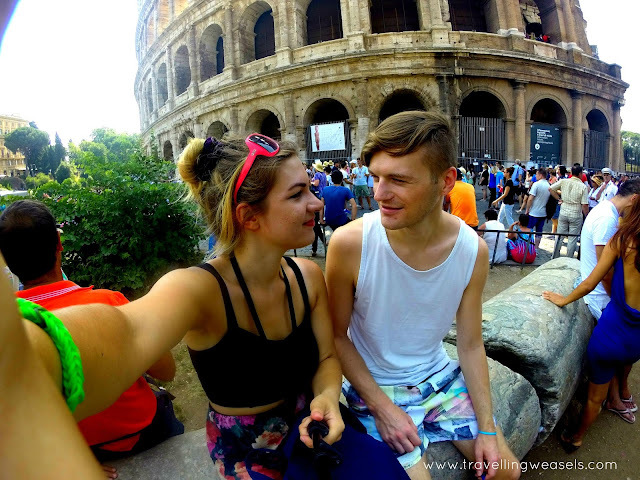 We spent three nights in Rome and had an amazing time! This AirBnB was very nice, and we just loved Rome! We dedicated a whole post to it here: 10 Free Things To Do in Rome. We would have been sad to leave wonderful Rome, if we hadn't known how awesome the next few weeks were going to be. We took the bus over to Ancona (on the east side) and stayed with the lovely people we'd House Sat for in January. It was wonderful to return there, especially when the dogs greeted us. The home owners spoiled us rotten with trips to the beach, trips to ancient beautiful towns and plenty of Pizza and Gelato. We helped out a little with the vineyard pruning and helped bottle 234 bottles of wine. They did go away for a long weekend and we were happy to repay them for all their kindness by house sitting for them, but when they returned they gave us their old iPad to say thank you!!! This iPad has been an incredible asset to Travelling Weasels. We were finally able to get Instagram which we love 100% and we also got Snapchat (travelweasels). Our photos improved thanks to some photo apps and it was easier to manage our email subscribers. So, guys, thank you so so much!!! Most grateful for: Being invited back to our dream home, visiting Rome together, being given an iPad! After Italy we head back to Germany to spend some more time with Tanbay's family and their lovely dog. 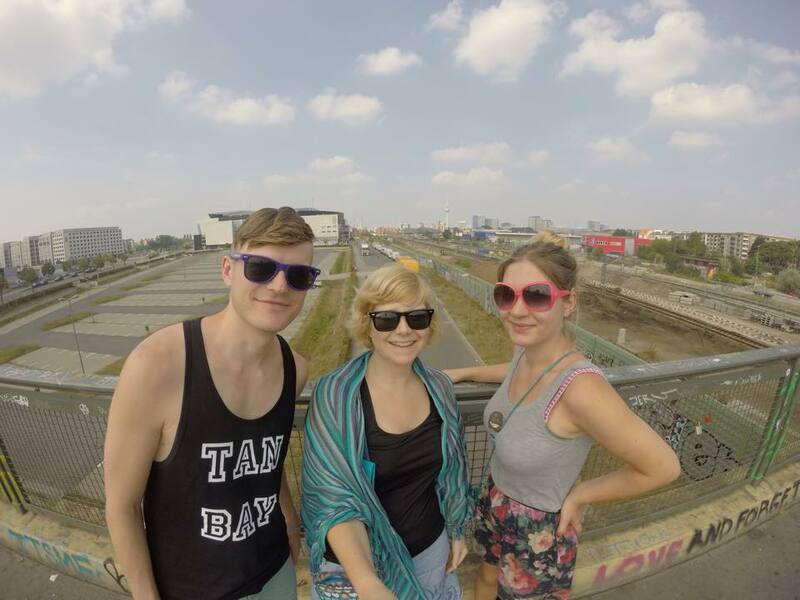 It also reminded us of how much we love Berlin! And we forced ourself to choose between Berlin and Rome as our favourite city in Europe. In the end we decided to choose Berlin as our favourite European summer city and Rome as our favourite European winter city. Ha. Most grateful for: Meeting Sabrina! Biggest lesson learnt: Everything she taught us! One of which is kind of opposite to the basket lesson we had in January, definitely have lots of eggs in your basket, but make sure you pay 98% of your attention to your travel blog (if that's what you want to do), we spent far too much time this year translating German/English, which we don't enjoy that much (depends on what we're translating) and isn't going to earn us more over time (like our blog will). We think it's very important to work out what you love doing, and then it doesn't matter if you do it 24/7 because you love it! We were asked to return to our Portuguese House Sit in September and immediately said yes. We love it so much there! 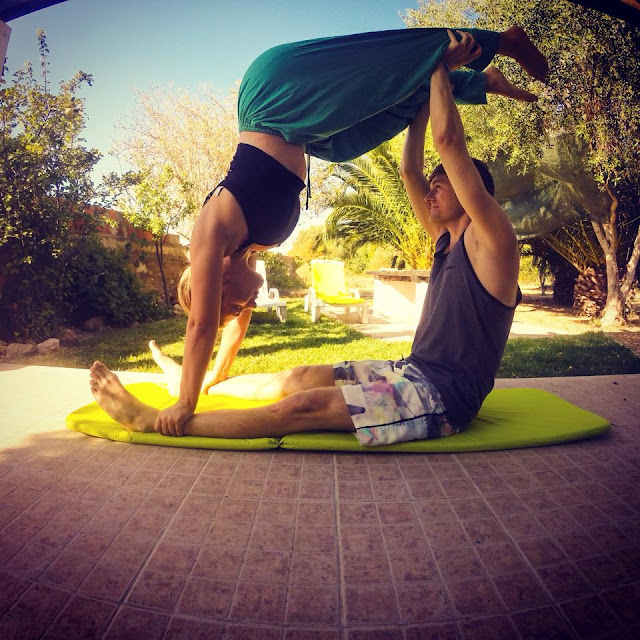 We've had sunshine almost every day, went to different beaches and even tried couples yoga (see image below). All in all we had an amazing time once again and we hope to return to this stunning location. We also celebrated my birthday here. 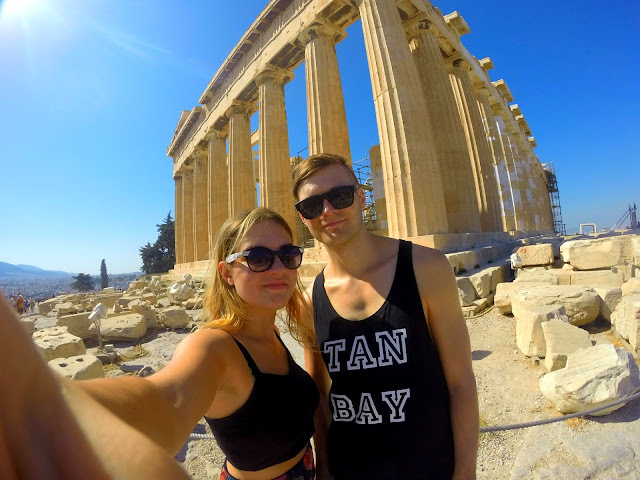 We flew from Lisbon to Rome and then Rome to Athens. Our flight landed in Rome late in the evening and then left Rome early in the morning the next day, so we made the mistake of staying the night in the airport. We've always hated staying at the airport, but this was the worst time ever, they chucked everyone out of the airport around 1 am and then it started to rain. By the time we got to Athens (after some heavy turbulence) we were knackered and found it very hard to navigate the tube system! Luckily we found our way to the House Sit and the dog was lovely. We managed to see a lot of sights in Athens, such as the Pantheon (see image above). 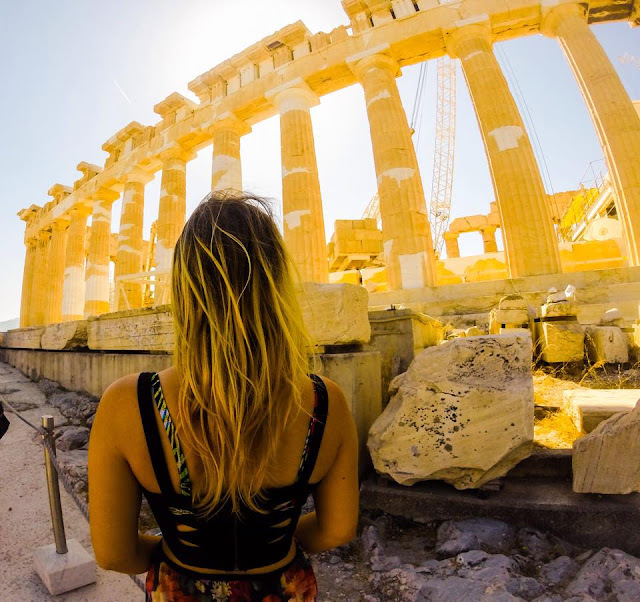 If you want to read more about Greece, check out how to spend an awesome first day in Athens. For one reason and another we had a few 'downer' days in Greece. Our Italian home owners felt bad for us and sent us some money on PayPal so we could take ourselves out for a meal! It was so kind of them and meant so much to us. Again, thank you guys!! We also met up with two more awesome bloggers Christine the NYC Jet Setter and Anna from Aspects of Style. Whilst Portugal and Italy had exceeded our expectations, Greece fell a bit below them, so we were very happy to return to Italy and our 'home away from home'. We spent a few lovely days with our favourite home owners, and then they kindly agreed that my mum and her boyfriend (John) could visit! Our home owners left for their holidays and Tanbay and I, my mum and John all house sat together. We are really grateful the home owners let them stay as we had a wonderful time together. We (and the dogs) are also grateful for how much mum and John walked them, and for the yummy food that they prepared! 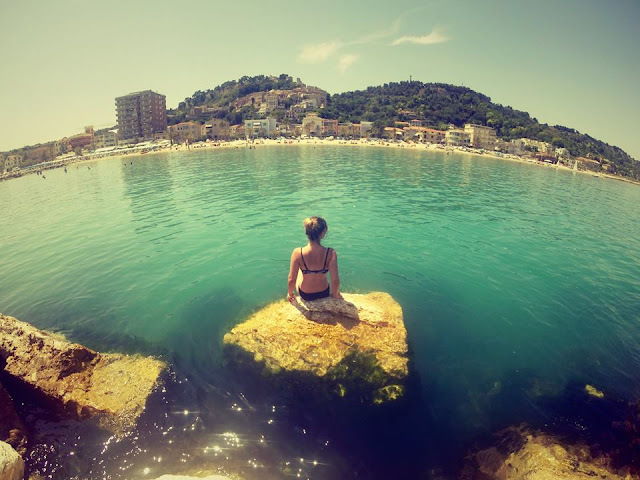 We had a few days trips together to some of the cute Italian towns and got to see the seaside. Biggest lesson learnt: Italy is beautiful and warm in the autumn! In December we returned to England for Christmas. We flew into London and spent the day in the capital. Then headed back to my home county for the month. 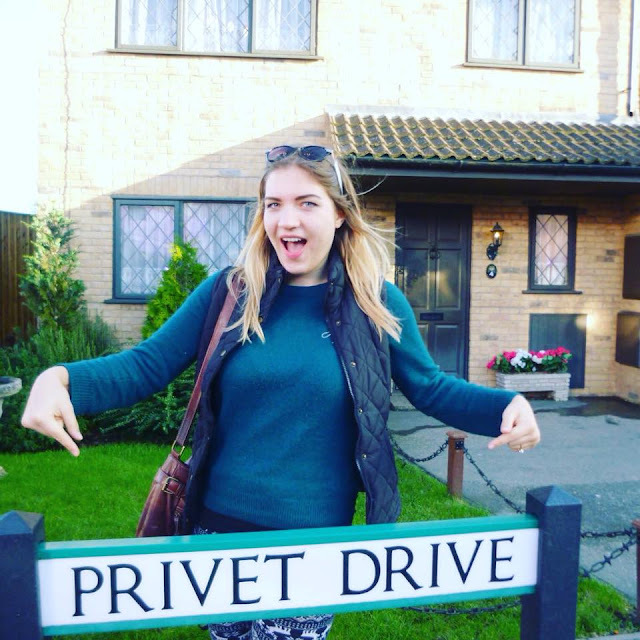 One of the highlights of this trip was finally going to the Harry Potter Studios in London with my mum. It was everything I'd dreamed it to be and more! Due to family commitments and emergencies I'm yet to write a post about this, but don't worry it's top of my list of things to do in January! 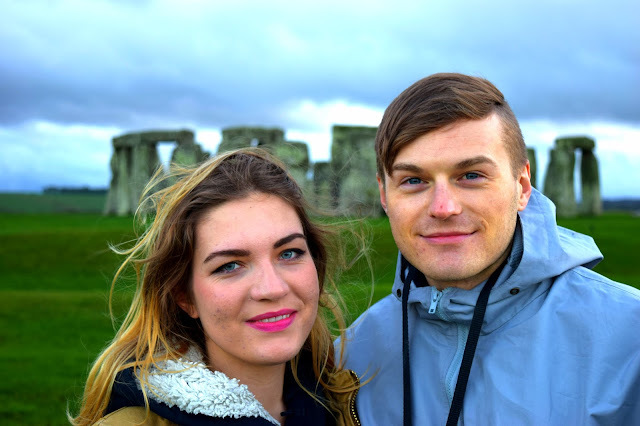 Another highlight was visiting Stonehenge for the winter solstice with my dad. We actually got to go in the stone circle itself which was very awesome and inspiring, again a post is due in January. My godmother very kindly let us stay with her in Salisbury, which was so kind of her, thank you!! We spent a lot of time getting ready for our trip to South East Asia, which is happening in February 2016 and we are already very excited about. This included getting our vaccinations for Asia. I am SO SO grateful that most jabs are free on the NHS. Free health care should be a right, not a privilege! You might be able to spot that the images from Stonehenge are a lot better in terms of quality than all of our previous images. The reason is that we invested in a DSLR camera, which was definitely the right choice and we should have done this much sooner (sorry Instagram). Most grateful for: Having a loving family and set of perfect friends, going to Harry Potter World and Stonehenge, investing in a new camera, the NHS, and for the guy in the Mini who let us hitchhike to Cheltenham. Biggest lesson learnt: England is like no other place. Do something awesome for our anniversary! This year we were rubbish and just ordered take away (a kebab) and watched some awful films. In 2016 it will be our TEN year anniversary and we will be in the PHILIPPINES, so fingers crossed we do something cool. Dedicate more time to our Instagram we love Instagram and want to connect more with our followers on there! Help people decide what they want from life, and then help them achieve it! As if all of this wasn't enough, we then got a two page feature in the German edition of the fashion and lifestyle magazine Grazia (see below), as well as mentions on the following major radio channels and websites that can be viewed on our Press Page. We want to say a big thank you to all the journalists and bloggers who interviewed us and we hope to get even more press coverage in 2016. If you are interested in interviewing us or working with us don't hesitate to contact us. Should I become a House Sitter, your FAQs. and this ebook 'A Guide for First Time House Sitters, which can be found here. P.S. 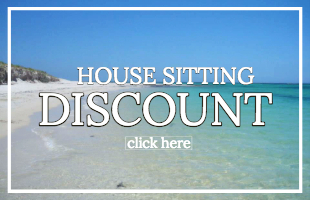 If you would like a 10% discount for trustedhousesitters.com subscribe to our free mailing list now!